The entire content included in this site, including but not limited to text, graphics or code is copyrighted as a collective work under the United States and other copyright laws, and is the property of 402ink. The collective work includes works that are licensed to 402ink. Copyright 2015, 402ink ALL RIGHTS RESERVED. Permission is granted to electronically copy and print hard copy portions of this site for the sole purpose of placing an order with 402ink or purchasing 402ink products. 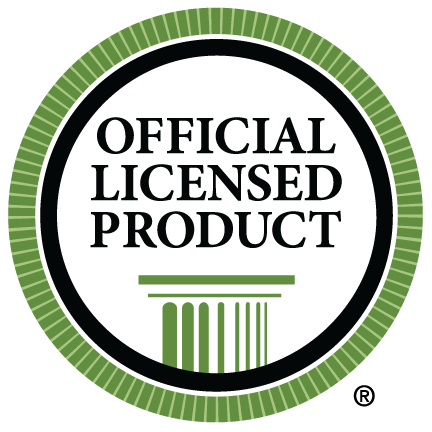 You may display and, subject to any expressly stated restrictions or limitations relating to specific material, download or print portions of the material from the different areas of the site solely for your own non-commercial use, or to place an order with 402ink or to purchase 402ink products. Any other use, including but not limited to the reproduction, distribution, display or transmission of the content of this site is strictly prohibited, unless authorized by 402ink. You further agree not to change or delete any proprietary notices from materials downloaded from the site. All trademarks, service marks and trade names of 402ink used in the site are trademarks or registered trademarks of 402ink. This site and the materials and products on this site are provided "as is" and without warranties of any kind, whether express or implied. To the fullest extent permissible pursuant to applicable law, 402ink disclaims all warranties, express or implied, including, but not limited to, implied warranties of merchantability and fitness for a particular purpose and non-infringement. 402ink does not represent or warrant that the functions contained in the site will be uninterrupted or error-free, that the defects will be corrected, or that this site or the server that makes the site available are free of viruses or other harmful components. 402ink does not make any warrantees or representations regarding the use of the materials in this site in terms of their correctness, accuracy, adequacy, usefulness, timeliness, reliability or otherwise. Some states do not permit limitations or exclusions on warranties, so the above limitations may not apply to you. 402ink shall not be liable for any special or consequential damages that result from the use of, or the inability to use, the materials on this site or the performance of the products, even if 402ink has been advised of the possibility of such damages. Applicable law may not allow the limitation of exclusion of liability or incidental or consequential damages, so the above limitation or exclusion may not apply to you. In the event that a 402ink product is mistakenly listed at an incorrect price, 402ink reserves the right to refuse or cancel any orders placed for product listed at the incorrect price. 402ink reserves the right to refuse or cancel any such orders whether or not the order has been confirmed and your credit card charged. If your credit card has already been charged for the purchase and your order is cancelled, 402ink shall issue a credit to your credit card account in the amount of the incorrect price. These terms and conditions are applicable to you upon your accessing the site and/or completing the registration or shopping process. These terms and conditions, or any part of them, may be terminated by 402ink without notice at any time, for any reason. The provisions relating to Copyrights, Trademark, Disclaimer, Limitation of Liability, Indemnification and Miscellaneous, shall survive any termination. 402ink may deliver notice to you by means of e-mail, a general notice on the site, or by other reliable method to the address you have provided to 402ink. If you have any questions about an online order, please call 402.671.6859 Monday- Friday 9AM-5PM CST to speak with someone in customer service. We create custom products based on your organization's specific requests. Due to this we do not accept returns or exchanges except in the rare case of a defective product. If you believe you have received defective product, you must contact Customer Service within 7 days of the product's original delivery.